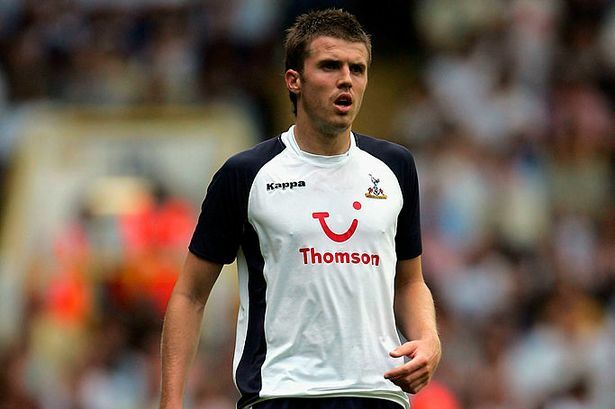 Michael Carrick almost joined Arsenal! The Manchester United legend and Jose Mourinho’s assistant coach could have played for the North London giants, if not for one player. Michael Carrick was a young but exciting prospect when this incident occurred. He was playing for West Ham and catching the eye of some of the biggest clubs in the Premiership. They were languishing in the Championship and were desperate to raise some money. They had thus alerted major clubs of his availability. One such club was Arsenal. “On the way home, we got another call. Arsenal again, asking us to meet Arsene. As it happened we were driving past his home in north London, so we arranged to call in on the way. Within an hour I was sitting in the front room of Arsene Wenger’s house, pinching myself. Could this really be happening? Arsenal! Could I really be on the verge of signing for the Invincibles who’d just gone through the season unbeaten? We talked for almost an hour about football. Wenger had the Community Shield at the weekend but was spending an hour with me, so surely he had to be interested in signing me? 'Let’s get Cardiff out the way, and we’ll see you Monday,' Wenger said as we left. Things were moving so fast I needed a few minutes to put it all into perspective. That night, I sat at the bottom of my bed and talked it through with Lisa, just running all the possibilities through my mind. It came from nowhere. My head was spinning. Arsenal were finishing either first or second in the Premiership. On the Sunday, I settled down at home in Theydon Bois, Epping, to watch Arsenal, my team to be, in the Community Shield against Manchester United. I saw that a kid, Cesc Fabregas, only 17, started in Vieira’s place. Fabregas played a blinder but I didn’t think too much about the significance. I sat at home on Sunday night waiting for the call to arrange details of the next day. Arsenal! I couldn’t wait. But I waited, and waited, and that call never came. The next day, I had to go into training at West Ham instead and, on the way, David Gold]phoned to say he’d had a call from David Dein. David relayed the gist of his message, like, 'I’m sorry, the manager says we don’t need Michael. Fabregas is coming through like he is. Sorry, the deal’s off.' Fabregas’ performance changed Wenger’s mind about needing me. I was totally devastated as I had my heart set on Arsenal and playing with all that talent. My head was gone. Arsenal had swayed me and I didn’t have a clue what I’d do now. Out of nowhere, Spurs’s sporting director, Frank Arnesen, called. 'We’re bringing in good young British players, and we want you, Michael.' I knew Paul Robinson and Sean Davis had arrived. Spurs were on the up and it was a good time to join. Arsenal’s rivals wanted me! Carrick thus joins a long list of players who could have played for Arsenal. Wenger has had great success and signed some incredible players, but the sheer number of big names that he has failed to sign make for a laughable read.